When you’re ready to get behind the wheel of a new Land Rover for sale in West Chester, stop by the lot at Land Rover West Chester! Our sales staff is waiting to help you find the new Land Rover that best suits your driving needs. Be sure to keep an eye out on our new vehicle specials, and make the trip to our dealership when you’d like to take a tour and test drive of the model of your choice! For more information please look at our Auto iPacket... it really has so much information on the exact equipment on the one you're looking at. Call or email us for any further questions about an unit.. Just give us the stock number when you call  610.436.0600.Fuji White 2019 Land Rover Discovery Sport SEBluetooth / Handsfree Calling.4WD 9-Speed Automatic 2.0L I4 TurbochargedFor more information please look at our Auto iPacket... it really has so much information or exactly the equipment on every car. Call or email us for any further questions about an unit.. Just give us the stock number when you call. 610.436.0600. For more information please look at our Auto iPacket... it really has so much information on the exact equipment on the one you're looking at. Call or email us for any further questions about an unit.. Just give us the stock number when you call  610.436.0600.Fuji White 2019 Land Rover Discovery Sport HSEBluetooth / Handsfree Calling.4WD 9-Speed Automatic 2.0L I4 TurbochargedFor more information please look at our Auto iPacket... it really has so much information or exactly the equipment on every car. Call or email us for any further questions about an unit.. Just give us the stock number when you call. 610.436.0600. For more information please look at our Auto iPacket... it really has so much information on the exact equipment on the one you're looking at. Call or email us for any further questions about an unit.. Just give us the stock number when you call  610.436.0600.Blue Metallic 2019 Land Rover Discovery Sport HSEBluetooth / Handsfree Calling.4WD 9-Speed Automatic 2.0L I4 TurbochargedFor more information please look at our Auto iPacket... it really has so much information or exactly the equipment on every car. Call or email us for any further questions about an unit.. Just give us the stock number when you call. 610.436.0600. For more information please look at our Auto iPacket... it really has so much information on the exact equipment on the one you're looking at. Call or email us for any further questions about an unit.. Just give us the stock number when you call  610.436.0600.Fuji White 2020 Land Rover Range Rover Evoque SBluetooth / Handsfree Calling.AWD 9-Speed Automatic I4For more information please look at our Auto iPacket... it really has so much information or exactly the equipment on every car. Call or email us for any further questions about an unit.. Just give us the stock number when you call. 610.436.0600. For more information please look at our Auto iPacket... it really has so much information on the exact equipment on the one you're looking at. Call or email us for any further questions about an unit.. Just give us the stock number when you call  610.436.0600.Gray Metallic 2019 Land Rover Discovery Sport HSEBluetooth / Handsfree Calling.4WD 9-Speed Automatic 2.0L I4 TurbochargedFor more information please look at our Auto iPacket... it really has so much information or exactly the equipment on every car. Call or email us for any further questions about an unit.. Just give us the stock number when you call. 610.436.0600. For more information please look at our Auto iPacket... it really has so much information on the exact equipment on the one you're looking at. Call or email us for any further questions about an unit.. Just give us the stock number when you call  610.436.0600.stone metallic 2019 Land Rover Range Rover Evoque SE PremiumBluetooth / Handsfree Calling.4WD 9-Speed Automatic 2.0L TurbochargedFor more information please look at our Auto iPacket... it really has so much information or exactly the equipment on every car. Call or email us for any further questions about an unit.. Just give us the stock number when you call. 610.436.0600. For more information please look at our Auto iPacket... it really has so much information on the exact equipment on the one you're looking at. Call or email us for any further questions about an unit.. Just give us the stock number when you call  610.436.0600.Orange 2019 Land Rover Discovery Sport HSEBluetooth / Handsfree Calling.4WD 9-Speed Automatic 2.0L I4 TurbochargedFor more information please look at our Auto iPacket... it really has so much information or exactly the equipment on every car. Call or email us for any further questions about an unit.. Just give us the stock number when you call. 610.436.0600. For more information please look at our Auto iPacket... it really has so much information on the exact equipment on the one you're looking at. Call or email us for any further questions about an unit.. Just give us the stock number when you call  610.436.0600.Silver 2019 Land Rover Range Rover Evoque SE PremiumBluetooth / Handsfree Calling.4WD 9-Speed Automatic 2.0L TurbochargedFor more information please look at our Auto iPacket... it really has so much information or exactly the equipment on every car. Call or email us for any further questions about an unit.. Just give us the stock number when you call. 610.436.0600. For more information please look at our Auto iPacket... it really has so much information on the exact equipment on the one you're looking at. Call or email us for any further questions about an unit.. Just give us the stock number when you call  610.436.0600.Red Metallic 2019 Land Rover Discovery Sport HSEBluetooth / Handsfree Calling.4WD 9-Speed Automatic 2.0L I4 TurbochargedFor more information please look at our Auto iPacket... it really has so much information or exactly the equipment on every car. Call or email us for any further questions about an unit.. Just give us the stock number when you call. 610.436.0600. For more information please look at our Auto iPacket... it really has so much information on the exact equipment on the one you're looking at. Call or email us for any further questions about an unit.. Just give us the stock number when you call  610.436.0600.Grey 2019 Land Rover Discovery Sport HSEBluetooth / Handsfree Calling.4WD 9-Speed Automatic 2.0L I4 TurbochargedFor more information please look at our Auto iPacket... it really has so much information or exactly the equipment on every car. Call or email us for any further questions about an unit.. Just give us the stock number when you call. 610.436.0600. For more information please look at our Auto iPacket... it really has so much information on the exact equipment on the one you're looking at. Call or email us for any further questions about an unit.. Just give us the stock number when you call  610.436.0600.Grey 2020 Land Rover Range Rover Evoque SEBluetooth / Handsfree Calling.AWD 9-Speed Automatic I4For more information please look at our Auto iPacket... it really has so much information or exactly the equipment on every car. Call or email us for any further questions about an unit.. Just give us the stock number when you call. 610.436.0600. For more information please look at our Auto iPacket... it really has so much information on the exact equipment on the one you're looking at. Call or email us for any further questions about an unit.. Just give us the stock number when you call  610.436.0600.Grey 2020 Land Rover Range Rover EvoqueBluetooth / Handsfree Calling.AWD 9-Speed Automatic I4For more information please look at our Auto iPacket... it really has so much information or exactly the equipment on every car. Call or email us for any further questions about an unit.. Just give us the stock number when you call. 610.436.0600. If you are looking for a great offer, compare pre-owned vs. certified pre-owned Land Rover models and their benefits. If you have any questions in the meantime, be sure to contact us at your convenience. 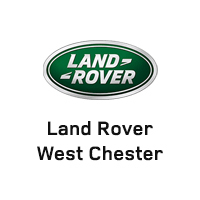 We’re conveniently located in West Chester and want to be your first destination for new Land Rover sales!